Tory Activists’ website ConservativeHome has been waging a campaign over the summer for Conservative HQ to release their membership figures after it was rumoured they had dipped below 100,000. After several weeks, Conservative Chairmen Grant Shapps and Lord Feldman capitulated and released figures showing membership stands at 134,000. This is half the number of members who voted in the Cameron-Davis leadership contest for the Tory Party back in 2005 when membership stood at 253,600. Where has everyone gone? A fair few will have died such are the perils of keeping up membership numbers in local Conservative Associations up and down the country but the vast majority have just decided not to renew their membership. There has been no scientific analysis of why over a hundred thousand members have deserted the Tory grassroots but the upsurge in membership in UKIP and the collapse of the Conservative vote in the English County Elections in May provides some clue. Natural Tories, me included, have never been a fan of the Coalition Government. But for every three Conservative Party members, two voted for David Cameron in the 2005 leadership contest, so we can deduce from the massive drop in total membership that many supporters of the Conservative leader eight years ago have now left the party (and not all for the next life!). For the record, I am still a member of the Conservative Party although somewhat disaffected as regular readers will have gathered. It is not surprising membership has fallen off a cliff. Many of the base gave Mr Cameron the benefit of the doubt whilst he was Opposition leader as he tried to “detoxify” the Conservative Party by embracing hoodies and hugging huskies. But things started to unravel during the 2010 General Election when instead of talking tough on welfare and uncontrolled immigration as ways of tackling the economic mess Labour were leaving the country, windfarms and the Big Society were on the Conservative leader’s lips. It was no wonder we lost the General Election. But to jump into bed with a man who will say anything for power, Nick Clegg, was the ultimate kick in the teeth to Conservatives up and down this land. The membership knew when Cameron formed the Coalition many real Tory policies were buried and predictably metropolitan elite policies on gay marriage and wind farms became prevalent. And to add salt to the wounds the Prime Minister’s Eton chums went round trashing local associations and calling them “swivel-eyed loons”. 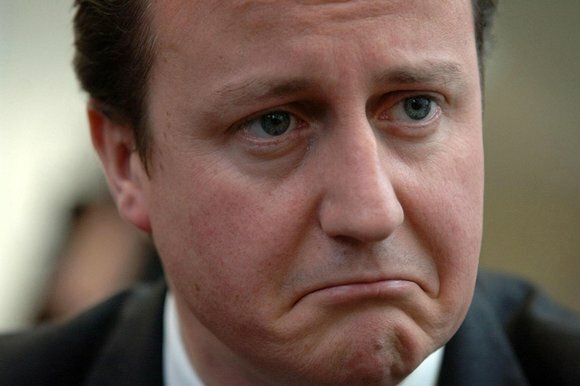 The upshot is David Cameron has made it even more difficult for the Conservative Party to ever win a General Election. With a membership below 140,000 the troops on the ground required to win the party a majority in Westminster just don’t exist. It didn’t have to be like this. Yes, David Cameron did not win a majority but he could have formed a minority Government and gone to the country again in the Autumn and by changing the message to one which reflected Britain in 2010 rather than in 2005, a different result could have been achieved. Now the worse of both worlds exist: the Conservative electorate worries if the Tory Party stands for their values anymore and even if they do, Mr Cameron hasn’t got the ground troops to go and tell them. Categories: Politics, Uncategorized | Tags: Coalition, Conservative Party, ConservativeHome, David Cameron, General Election 2010, Grant Shapps, Lord Feldman, membership, Nick Clegg, Swivel-eyed loons | Permalink. This story won’t go away so I keep being prompted to chuck my two-penneth worth in. A year ago, The Sunday Times conducted a “sting” operation against the then treasurer of the Conservative Party, Peter Cruddas. A self-made billionaire part cockney, part geordie, he doesn’t fit the mould of the quintessential Tory treasurer. Well, perhaps a constituency party treasurer but not THE Tory treasurer. Peter Cruddas’ talents were unleashed by Margaret Thatcher who then took every opportunity afforded to him by her Government to become very rich indeed and subsequently an employer of over 500 people. I say good luck to him. At least he made his money, rather than inherit it or worse take home millions of pounds as a CEO who has never taken a personal risk in his life. But the flip-side is he isn’t one of Dave’s mates. He didn’t have a trust fund from birth, he didn’t go to Eton, he didn’t play tennis at Brasenose. In short, he isn’t one of the Cameroons. There are plenty of Tories (no where near as rich, of course) like Mr Cruddas up and down the country, just not in the Notting Hill elite Cameroon club. In 2012, Sunday Times journalists Jonathan Calvert and Heidi Blake set up a meeting with Mr Cruddas pretending to be agents for foreign investors and took along with them a hired lobbyist and former Conservative Party worker called Sarah Southern, who was unaware of the sting. The meeting was secretly recorded with each reporter wearing a hidden camera. In three subsequent articles they alleged Mr Cruddas put a cash donation price, in breach of UK electoral law, on the opportunity to influence government policy and gain unfair advantage through secret meetings with the Prime Minister and other senior ministers. The journalists had lied. The full transcript of the secret recording showed Mr Cruddas had repeatedly said all donations had to be “compliant” with the law. 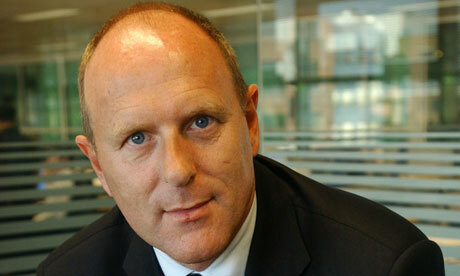 Peter Cruddas sued the paper and last week won his libel case at the High Court and was awarded damages of £180,000. The Sunday Times must also pay £500,000 in costs. When the story broke last year before Peter Cruddas had a chance to put his side of the story, Tory HQ in London were already briefing journalists he had resigned. Whilst Conservative ministers went on national news to distance themselves from Mr Cruddas, the Conservative Party Board jettisoned him as treasurer without a second’s thought. Things had been so different. David Cameron had carefully cultivated a relationship with this major donor during the preceding years when Mr Cruddas gave hundreds of thousands of pounds personally to the Party and helped raise millions more. After being vindicated, there has been complete silence from the Party. No apology from David Cameron or Party Chairman Grant Shapps who has managed to side-step media prompts for an apology no fewer than seven times over recent days. Unfortunately, this level of contempt for anyone not seen to be at the same level as the Cameroon elite is par for the course. If donating hundreds of thousands of pounds to the Party effort doesn’t win you respect what chance have the grassroot activists got who muster up their support by delivering thousands of leaflets and attending the odd fundraising event. None. In fact, the grassroots are not only ignored but besmirched by the Party hierarchy as was seen when Co-Chairman Andrew Feldman called his own ordinary members mad swivel-eyed loons. The tipped next Tory leader Theresa May back in 2002 told the Conservative members they were known as the “nasty party”. As if that comment hasn’t done enough damage to the prospects of the Conservative Party ever winning a parliamentary election again, the leadership is intent on being as “nasty” as possible to all it’s supporters. Perhaps Mr Crosby could have a word? Categories: Politics, Uncategorized | Tags: Conservative Party, David Cameron, Grant Shapps, party relations, Peter Cruddas, Sarah Southern, Theresa May | Permalink. Firstly, let’s deal with Ipswich: in short, the Conservatives will lose every seat they currently hold apart from Bixley. In terms of predictions for who gains those seats and the places each party standing takes, I’ll defer to the excellent Ipswich Spy. My main interest is in how UKIP will fare. Nigel Farage’s party are standing in 8 out of 10 divisions in Ipswich, comprising 13 seats* as three divisions have two councillors representing the electorate. UKIP are not standing in Bixley or St John’s. However, they will not win a single seat in Ipswich. Even if they had stood in ‘True Blue’ Bixley, it is unlikely they would have captured enough disaffected Tories as the Conservatives (albeit under popular councillor Russell Harsant) claimed over 50% of the vote in 2009 with Labour and the Liberal Democrats miles behind. Although UKIP won’t win a seat in Ipswich, this does not mean they won’t exceed expectations nationally. This is why the money is on UKIP to win over 50 seats nationally in tomorrow’s County Elections in England (with one Council up for election in Wales). The bookmakers Paddy Power are offering odds of 1/8 for UKIP to win over 50 seats. 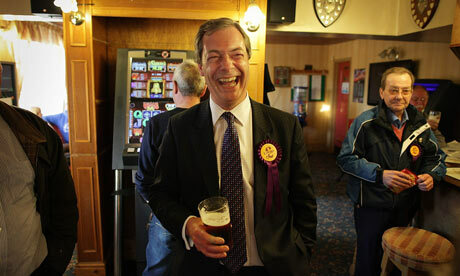 Of course, it is not just disaffected Tories who are defecting to UKIP. Formerly Labour and Yellow Peril voters are also lending their vote to Nigel Farage, which was plain to see in the recent Eastleigh by-election, where UKIP pushed the Conservatives into third place. As a result, both the main parties, Labour and Conservatives, have been rattled by the UKIP surge the country has seen over the last few years, especially since the Cameron Coalition was formed in 2010, which has seen a Conservative leader more interested in talking about gay marriage and wind farms than enterprise and lower taxes. It’s not just the hot topics of Europe and immigration which are driving the UKIP vote up but a general dissatisfaction with the mainstream political elite in Westminster who only care about the 4% of the electorate in marginal seats that decides who governs Britain. If the 4% don’t care about uncontrolled immigration, then Cameron won’t talk about it. If that segment of the electorate love the NHS then Cameron will fall prostrate at the High Altar of the NHS every day of the week. However, the Conservative Party know UKIP have the potential to “steal” plenty of Tory votes and so a smear campaign operation was launched last week by Grant Shapp’s party high command at Conservative central office (or CCHQ as it is now known), helped along by the BBC, and culminating in plenty of stories in the Sunday papers about the dubious views of some UKIP candidates on their social media sites. And for good measure, veteran Conservative minister Ken Clarke told the 24 hour news channels he thought UKIP voters themselves were “racist”. Well, if liberal Wet Ken Clarke says this about a right-wing political party, then it must be true. Hmmm…. It is for this reason I believe the smear campaign against UKIP will back-fire – it may just save UKIP a ton of manhours in Get Out The Vote activity. We’ll have to wait until early afternoon on Friday to see as civil servant counting staff don’t have a sense of duty anymore and will refuse to count the votes straight after the polls close, preferring instead to start after 9am the next day – and the ruling political parties let them! Just another reason why many voters are turning away from the mainstream political elite. 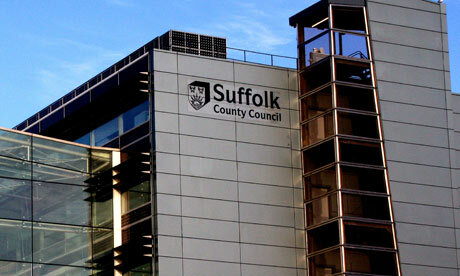 *All the candidates in the Suffolk County Council Elections for the Ipswich Divisions can be found here. Categories: Politics | Tags: Conservatives, David Cameron, Election 2013, Grant Shapps, Ipswich Spy, Liberal Democrats, Nigel Farage, Suffolk County Council, UKIP | Permalink.